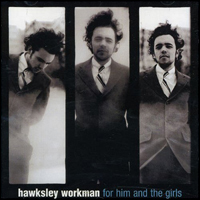 On November 17, Isadora Records will release Hawksley Workman’s debut album For Him And The Girls in the US for the very first time. Originally released in 1999, the album was written, produced and performed by Hawksley himself, and bursts with beauty and energy. To read Hawksley’s track-by-track discussion of the album, click here.